At Nanotis, we are working to fulfill our corporate mission "To provide quick and accurate information to all people struggling with illness" through the development of innovative early diagnosis devices. In other words, we pursue developing early diagnosis devices which are genuinely valuable for medical professionals working in practical medical settings and thereby contributing to the realization of more efficient healthcare. My aspiration to develop products that can efficiently and effectively be utilized anywhere and are available to any persons suffering from illness not only in advanced nations but also other parts of the world ("whoever" and "wherever") was derived from and forged by experiences I heard from my maternal grandfather, who was a practitioner, and other doctors engaged in healthcare in remote areas. 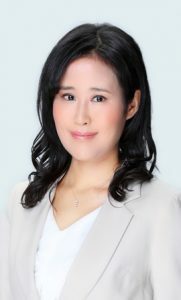 To achieve the vision of developing early diagnosis devices, the Nanotis team, primarily composed of members of an R&D team of the Faculty of Engineering, University of Tokyo, was incorporated in June 2016. The following year, we commenced a joint research project with the National Center for Global Health and Medicine. A further aim is to develop elementary technologies that can stimulate and inspire many engineers and researchers, and thereby bring a number of innovative technologies to life. I was influenced by my grandfather on my father's side, who was an engineer working for a major automobile manufacturer. I myself studied physics at graduate school. Based on these experiences, I have committed myself to "engineer-oriented management" in the business operations of Nanotis. The majority of medical inspections are currently only available at hospitals, but our work will make them more instantly and conveniently available in other locations. Many people still have scarce access to medical services and lose their lives due to being unable to receive a diagnosis. However, our work will enable more lives to be saved. All our work is dedicated toward providing quick and accurate early diagnosis for all people. Nanotis will continue working on the development of new inventions in order to achieve our goals. high sensitivity, for wherever, for whoever. NANOTIS' NEXT-GENERATION MICRO-CHIP MAKES A FLU TEST MUCH MORE CONVENIENT. 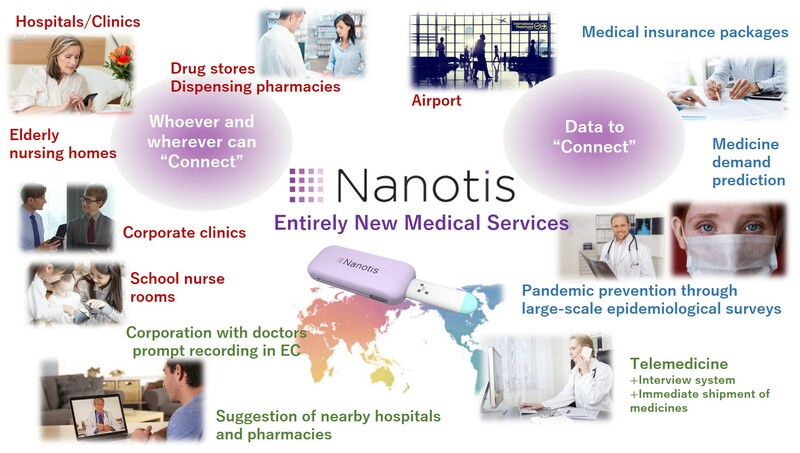 Nanotis plans to expand its technology into a series of micro-chips for the testing of SARS, MERS, Zika fever, dengue fever, and various other infectious diseases.